with benefits—it never works. Someone always ends up wanting more.What happens when both want more, but neither will tell the other? Samantha really knows how to write a lovely, happy, romantic and steamy story! 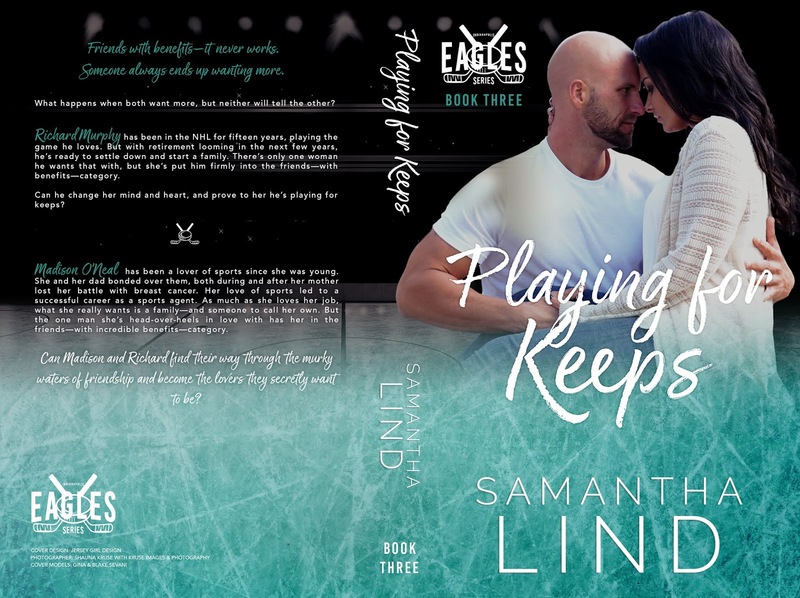 We have been teased with bits about Madison and Richard in the first two books of the Indianapolis Eagles series and now we get the full story! I have been waiting anxiously for this! Richard, oh my! I love his vulnerability. He too wants more from his “friendship” with Madison but doesn’t want to chance losing her. But when push comes to shove, he rises to the occasion brilliantly and makes sure that Madison knows where she stands with him. I wanted to shake the both of them for waiting soooo long, but in the end it was worth it! This is a low angst, lots of love romance, must read, that is classic Samantha! She is really knocking her stories out of the park and is getting better and better with each book she releases! Well done, Samantha! Well done! !